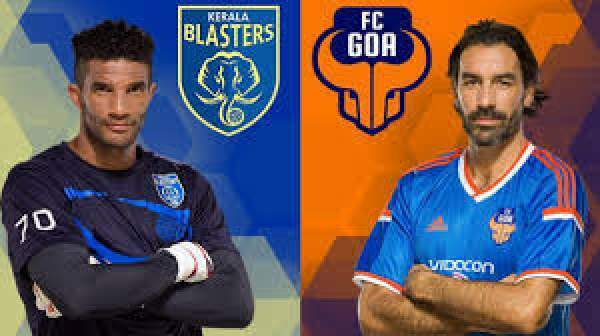 Kerala Blasters FC vs FC Goa Live Streaming Info: ISL 2015 Live Score; Match Preview – 29th November: This is the match number 50 to be played at Jawaharlal Nehru Stadium located in Kochi. The game between Goa and Kerala is to take place on Sunday in the Indian Super League season 2. In this game, FC Goa would be looking for sure to beat Kerala in order to qualify for the semi-finals of ISL 2. While, the performances given by the Kerala’s team has made many to think that it will not qualify for the playoffs. But, if going through the mathematical calculations then, they still have a chance to get into the final four. To make this happen, they will have to win both the matches in their lineup. Not only win but with a good margin. FC Goa is facing a tough time with their performances and the results. Recently, they got defeated by the Atletico de Kolkata by a huge margin of 4-0. They got drew the next game against NorthEast United. Now, they have reached to face off Kerala. By looking at the records, then the JLN stadium has proved to be a tough task to defeat the home side. Furthermore, the fan base supports their team. Thus, the home players get filled up with energy with sufficient quota to win or at least draw the match. Last time, both the team had a match at JLN in Fatorda, Goa. They won and defeated the Blasters by a score of 2-1. Goa has one more chance to make this record to 2-0. However, Blasters can defeat the opponents. And importantly, they are eyeing to qualify for the final four, so they will take their all chances to do so. It is the last game at home for them. Thus, they would like to finish it on the high note. Meanwhile, it is not going to be an easy match for the team of Terry Phelan. They will have to showcase their best efforts in order to outclass opponents. Where to watch the game. The match NorthEast vs Delhi is scheduled to be played at 7 pm IST (2:30 pm BST; 9:30 am ET). In India, it will have a live telecast on following TV channels – Star Sports 2, Star Sports HD2, Star Sports 3,Star Sports HD3, Star Utsav, Star Gold (both Hindi), Asianet Movies (Malayalam), Jaya Max (Tamil), Suvarna TV (Kannada) and Jalsha Movies (Bengali). While the option to live stream it is provided on StarSports.com and HotStar. For the audiences residing in the UK, South East Asia, Singapore, and Hong Kong, they can catch live updates on Star Gold. For the fans in Canada, the live broadcast can be found on CBN and ATN. While for the US and Australian viewers, the facility to catch the live action is made available on Fox Sports while the live streaming is on FoxSoccer2Go and FoxTel. For the European viewers, the same is on EuroSport while it can be streamed live on EuroSport Player. In the Middle East and North Africa, the ISL game can be watched live on OSN and online on OSN Play.